Over this winter I have to give credit where credit is due, and it goes to Polypodiums! 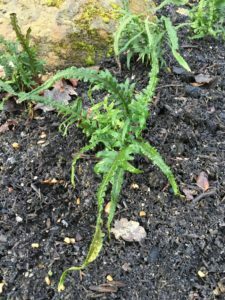 They have been incredibly valuable during this cold quiet time in the garden, keeping their fronds green and sturdy through the hardest of frosts. They are now starting to turn brown, eventually losing these fronds to be replaced in late spring and summer by fresh new fronds; but with it being February and so many still looking so great, I am impressed. 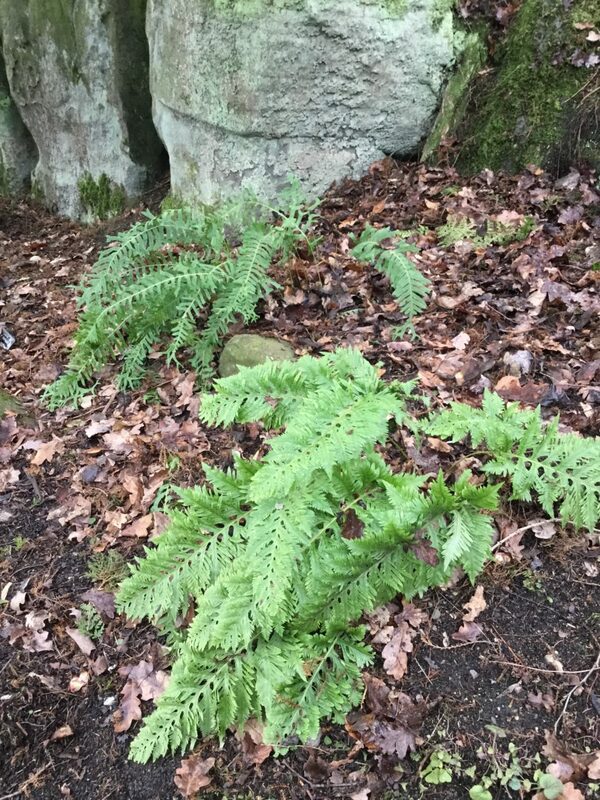 At Harlow Carr it’s been noted that the ones planted in the more sheltered and dryer locations have held their fronds still at their best. 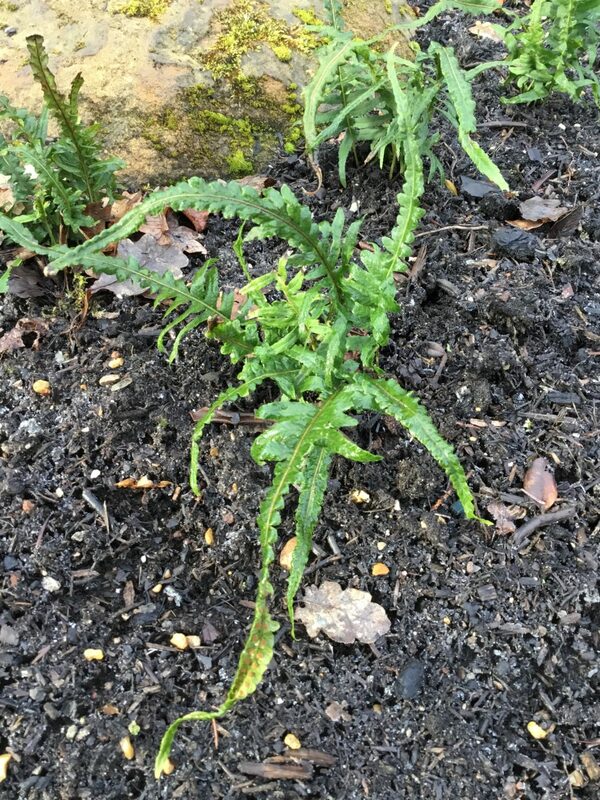 We have a small group under a large conifer, keeping them drier with dropped needles and some deciduous leaves nurturing the soil for their roots to creep through. 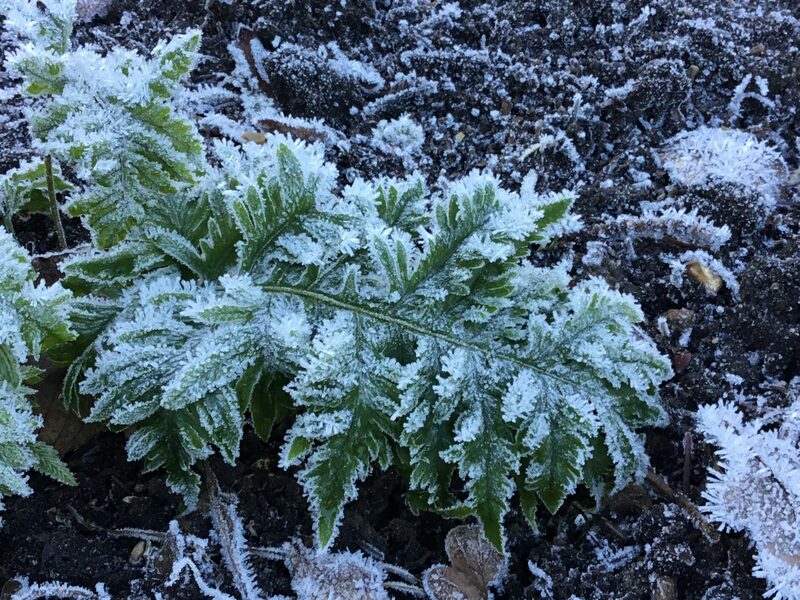 And they are particularly beautiful when frosted, as the spectacular Polypodium cambricum ‘Richard Kayse’ and P. cambricum ‘Conwy’ have been seen this year. 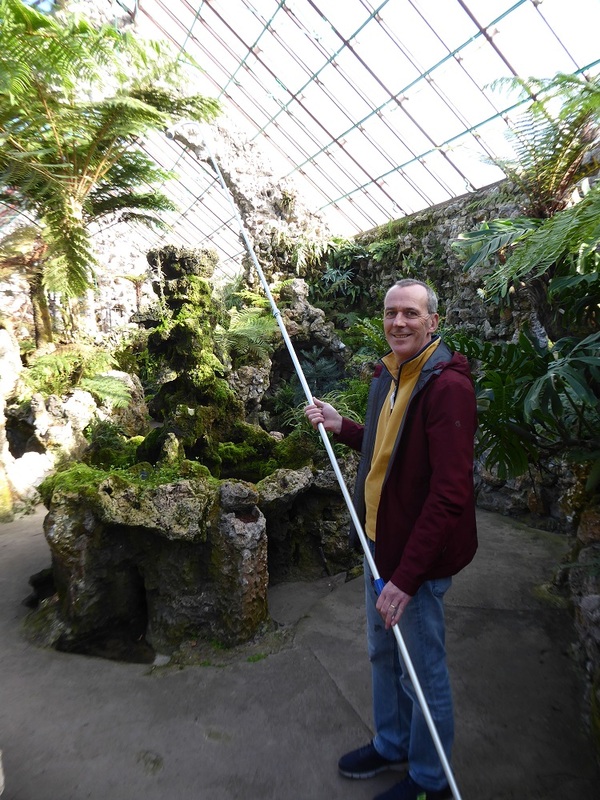 A seriously long watering lance for Churchtown Fernery! 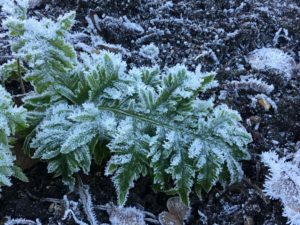 BPS member Brian Kelly saw our article on the Fernery in the Pteridologist, and realised that his un-used extending watering lance would be perfect for reaching those high planting pockets. 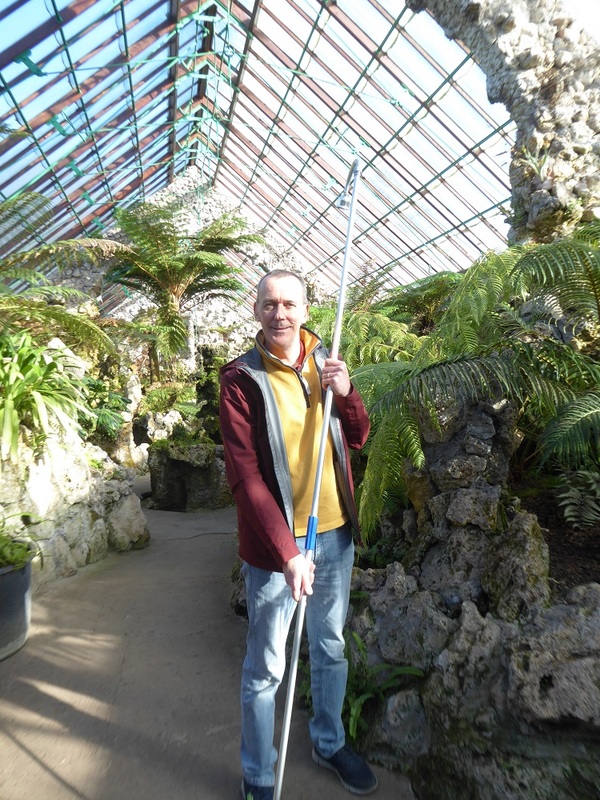 Brian brought the lance into the Fernery on Monday, and it connects perfectly with our hose. The lance extends to 4.5 metres, so no problem in reaching the top of the arches! Thank you very much, Brian, for this very useful gift. 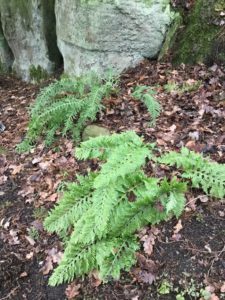 We are currently working to have the Fernery ready for opening to the public on Good Friday – April 19th. The aim is to open from 10 am to 4 pm every day through the Summer.